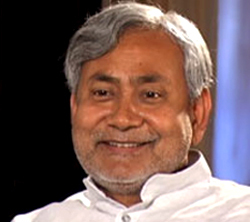 India is looking at Bihar Chief Minister Nitish Kumar. Will he take the reins that history has graciously given him to change the future of one of the most backward states of the world's biggest democracy? Some television stations in India have conducted polls on the popularity of chief ministers and Nitish is one of the best. If he wants a place in the history of India's fractured politics, he can bid for it. But it is not going to be easy. One cannot help feeling tickled with the poll predictions that the media toyed with before the results of the Bihar elections came pouring in. Most of them were far off the mark. Sometimes, the media would do well to look into the mirror and accept how poorly prepared it is. Even in Bihar where the majority is illiterate, unemployed, hungry and poor, voters can vote for change and hold out a candle of hope for democracy. The golden rule in old-fashioned journalism of yesteryears was that if a journalist had his ear to the ground, he would hear the tremors. But in the age of Google, the way most journalists get information has changed. More than anything else, the Bihar election screams at journalists asking them to see beyond stereotyped valuations of sociology, caste prejudices and ideology. Politics can often teach us simple truths about how truth is what someone somewhere wants to hide and the rest is all advertising. But journalists went around quoting Laloo Prasad Yadav and pretended it to be analysis. After all, he had mastered the art of offering unsolicited election arithmetic in the last fifteen years. Laloo, the cowherd from Phulwaria who kept talking of how he was just a peon's brother, learnt new lessons when the results came pouring in. He could not use caste anymore to win elections as the poor wanted change. They wanted development, roads, schools, employment, law and order. Laloo gave them none of these. The schools that he started for cowherds got him into international headlines as he advertised himself as so caring for the needs of the poor, has been in shambles. Once the ink dried on the headlines, he was not bothered. When he was forced to resign because of the fodder scam, he foisted his wife, Rabri Devi, within minutes. There are many miracles in Indian politics, but this had no parallel. There is no politician in India who used the media like he did. With his typical buffoonery, he attracted both the print and electronic media who ate out of his hands. His betel chewing habits, his spittoon, his typical gamcha, (a cotton towel thrown around his neck or shoulders) his vest, his bare feet, his stylized hair cut, his deliberate regional accent, all were lapped up. His rustic jokes and pranks were blown up by the media showing him up to be a lovable people's leader. The media almost showed him as a social engineer whose only passion was social justice. But, fifteen years down the road, the state of Bihar is appalling. It is the poor who have no say while the rich and the politically connected, run a diktat. So do criminals, gangsters and political touts. Bihar's per capita development expenditure last year was just Rs. 1211 when it is Rs. 2650 for the country as a whole. Nitish needs to do all he can to get the centre to give him more funds. He will have to reform public administration and insulate the bureaucracy political and criminal interference. Only then will he be able to insulate himself from daily governance and concentrate on the larger picture of salvaging his state from the depths it has fallen. It is certainly not going to be a cakewalk for Nitish Kumar. Today, he heads one of the most backward states of India that is caught in a whirlpool of political depravity. The state has crumbled. In many pockets, there is no semblance of law and order. Country made guns can be bought off the shelf and criminals are at your beckoning if you have the money. Kidnappings for ransom continue. The annual real per capita income of Bihar of Rs. 3650 is about a third of the national average of Rs.11, 625. Bihar is also the only Indian state where the majority of the population - 52.47% - is illiterate. It is not that the media ignored the reality of crumbling Bihar. There were reports, but not enough. Unless reporters travel and live in the hinterland, there will only be superficial reports that are basically hearsay of planted stories by vested interests. Nitish Kumar's assurance that he will change the focus in Bihar from politics to economics and development, is heart warming to say the least. He has raised millions of hopes not only in Bihar but every corner of India. He will now have to work against all odds to get to change the way we all see and feel about Bihar. And that is the greatest hope for India. The Bihar elections showed us what the poorest of the poor could do when in an election booth. The electorate was actually desperate and wanted someone who would rescue them from a present, which seemed to be heading towards a bleak future. They no more wanted to be a part of a failed state. I remember how on one of my visits to shoot news stories in Bihar, I had my cab driver telling me to pack up early as he would not drive at night as the night belonged to the dacoits. The schools I visited had no roofs, some had no teachers, and some no students. The hospitals had no medicines and patients were lucky if they had doctors attending to them. Thousands of poor people were being transported for Laloo's rally in Patna. The visual of a poor emaciated woman trying to pick up puries strewn in a ground after the rally haunts me as if I saw it yesterday. 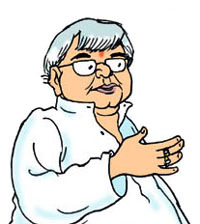 I had interviewed Laloo just outside his sprawling house and he asked me counter questions to every question asked. There was arrogance in his voice as he mocked every question that came from the feeling that an illiterate and poor populace would never have the courage to stand up and show him the door. Nitish now has to put the fear of law into those who thought it was land that was created for dacoits. He will have to inspire the bureaucracy that has been numbed by years of Rabri's rule. They have to be allowed to get back their self-esteem and pride in building a state and infusing it with their commitment and vision. He will have to seduce industrialists into investing and that is not going to be easy either. There is just too much of cynicism. He will have to sweep in literacy, as that is one great hope for Bihar. It is just that it will take a decade for the results to show. Development indices have to start climbing the graph so that Bihar is not a state he will be ashamed of. He has to learn how to humor the coalition. The BJP is silently waiting in the wings. It is desperate for more power in the state as it wants to build a base there. Having a deputy chief minister will not do for the BJP. Desperate for tasting power, it will want its own agenda addressed and it might not go well with Nitish's plans to ensure social justice for the poor. Sooner or later, the BJP in its typical style will try to dominate the bureaucracy and other potent centers of power. He can look towards Orissa chief minister, Naveen Patnaik, who is rapidly changing the face of Orissa bringing in investment, creating employment, infrastructure and also working on improving the poor development indices. Patnaik never even seemed like a politician when he took reins over the state and critics said that he was lucky that his father, Biju Patnaik, was a former chief minister. But the son has done far better than the father ever did though he was such a seasoned leader and politician. Nitish knows that he carries a heavy weight on his shoulders. He has to tame a bureaucracy that has forgotten how to work. He has to bring in fiscal discipline. He has to take unpopular decisions. He has to be tough in implementing law and order. He has been in power for a year now, and the honeymoon period with the electorate is over. Now, it is time to act with courage and determination. There could be a new dawn in Bihar. Nitish has got a chance in a lifetime. If he loses this, history will never forgive him. it is a great chance to find a chief minister in a form of Nitish kumar. We feel if nepal get a good minister then it breath more longer.